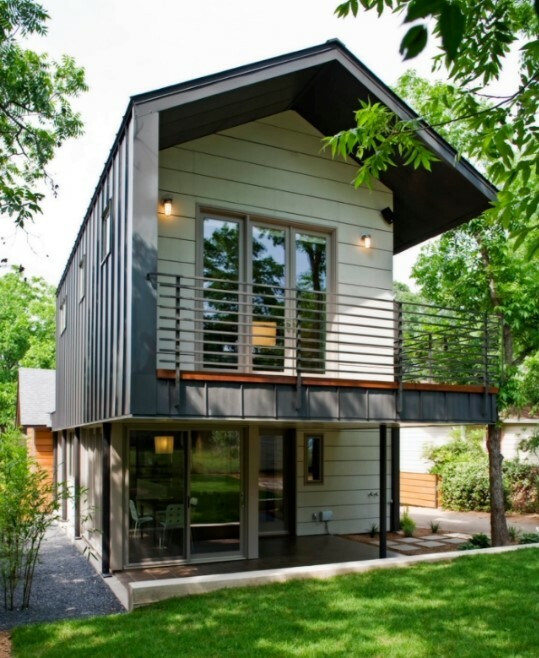 Top 20+ Metal Barndominium Floor Plans For Your Dream Home – Many people dream of a nice place to live in. Have you ever imagined how it feels to live in a barn? 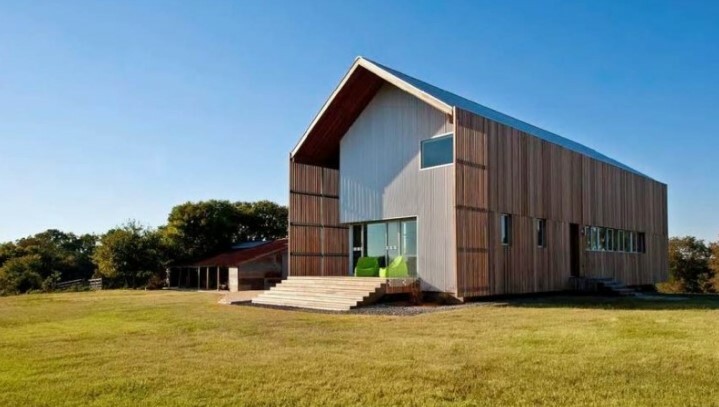 Well, this livable barn is called barndominium, a fusion of a barn and a condominium, which has been a hit now. 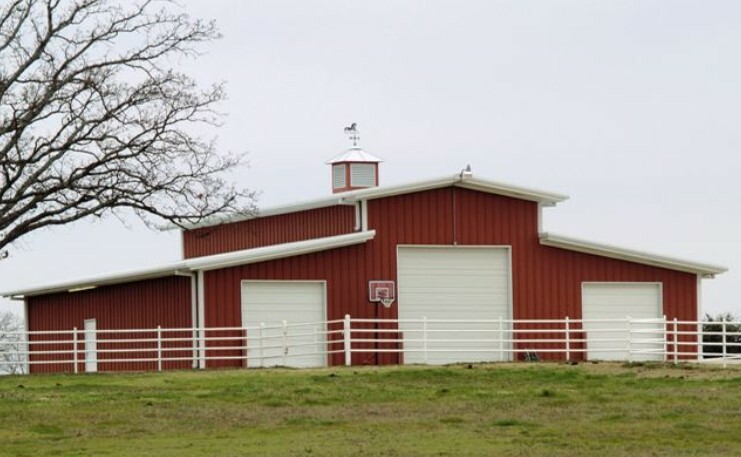 If you are going to build a barndominium, you need to design it first. And these 15 best barndominium floor plans are great ideas to begin with. 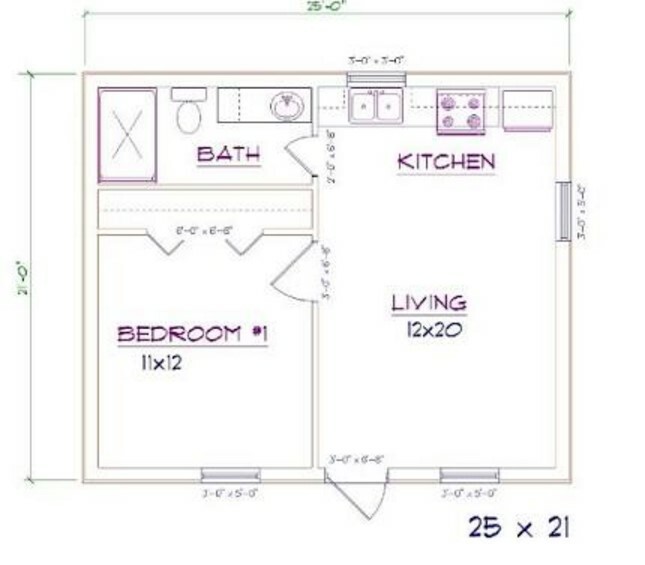 3.4 Brandominium Floor Plan 2 bed, 1 bath – 30’x30′ 900 sq. 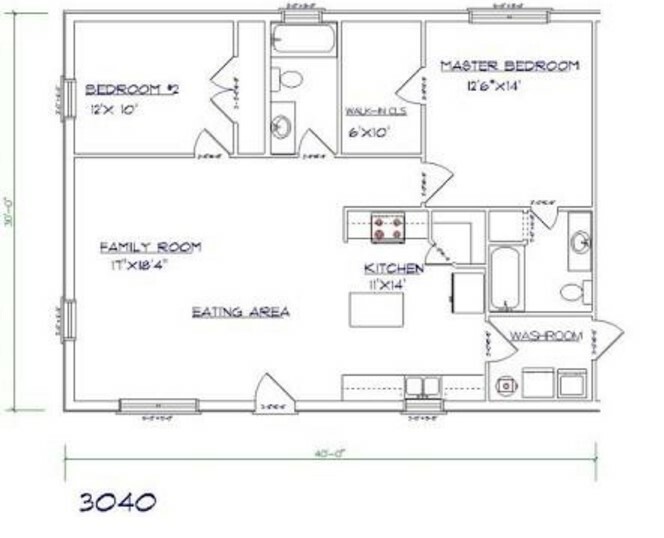 ft.
3.7 Barndominium Floor Plans 3 Bed, 1 Bath – 30’x40′ 1200 sq. 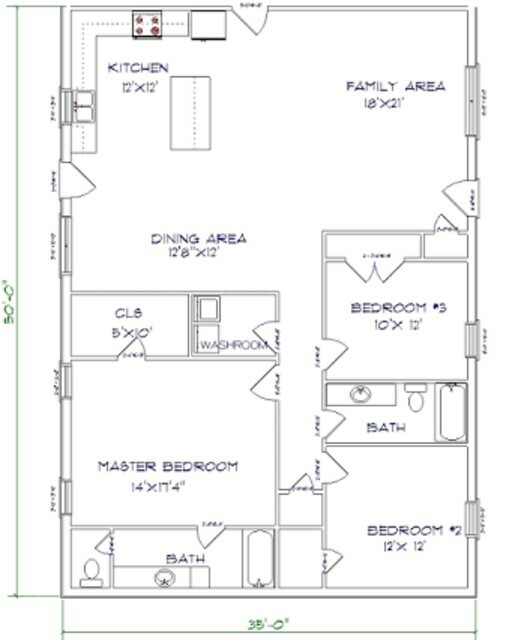 ft.
3.13 Barndominium Floor Plans 5 bed, 2 bath – 40’x60′ 2400 sq. 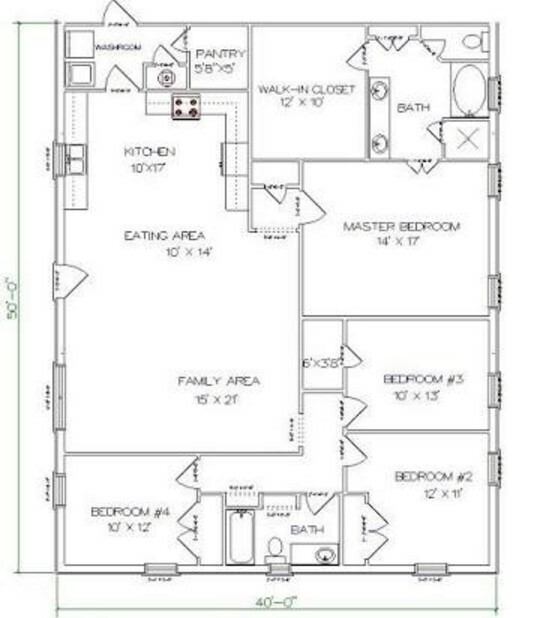 ft.
3.15 Barndominium Floor Plans 5 Bed, 3 Bath – 50’x60′ 3000 sq. ft. There are many things that you can do with a barndominium─ a garage, a recreation room, meeting room, dining room, you name it. It has the same functions as the other houses despite the name indicating what it was used for. In addition to functioning just exactly the same as any other houses, you can use a barndominium to run a business like running a shop or a cozy restaurant. It is such a versatile building, isn’t it? Hint: Before building it, you should better list anything that you want to be included and discuss it with a building contractor. Having a barndominium is a good idea. But building it is not a doddle. It really is arduous. But it is worth-trying, though, because you will be amazed by the final result of your barndominium. The first thing that you need to consider is pouring a foundation. If you are planning to remodel an old barn, you will need to get rid of the dirty floors by raising it a few inches off the ground. It will entail lifting jacks and doing some other complicated work. Then, you begin pouring cement as the foundation. After that, you might need to rebuild the frames because some of them might warp. There is no other way but replacing them with the new ones for your safety and comfort especially if you want to build a two-story house. Then, you need to consider replacing the roof with the new one as most barn’s roof are not as sturdy as a house’ roof. Thus you need to replace it so that the roof can protect you from leaking and freezing due to low temperature. After that, you have to install the most crucial things of all if you are planning to dwell in a barndominium. They are plumbing, electricity and HVAC. You might also want to insulate the walls to prevent electricity and heat from passing through. And, finally, the most exhilarating thing is the finished interior and exterior work. Your creativity and taste of style will be tested. And it is really exciting since you can explore any creative ideas that you have on your mind. Hint: Rustic-looking beams will make the interior design of your barndominium look classical yet stunning. The construction process does not take a long time. It is flexible and easily expandable. 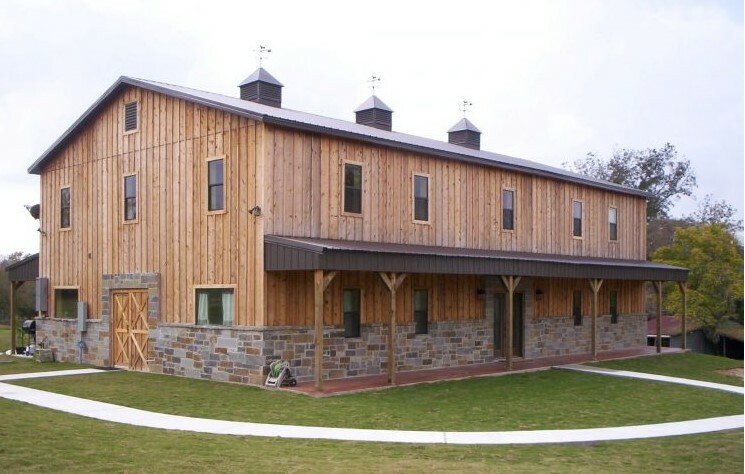 A barndominium is more energy-efficient because insulation helps it maintain the appropriate temperature. You’d better avoid living in a barndominium if you are allergic to metal finished. Building a barndominium might burn a hole in your pocket as it needs more screws and the materials are exorbitant. This is also an important thing that you need to consider before building a barndominium. The floor plans. Take a look at these 15 floor plans so that you will figure out what you want the barndominium to be. 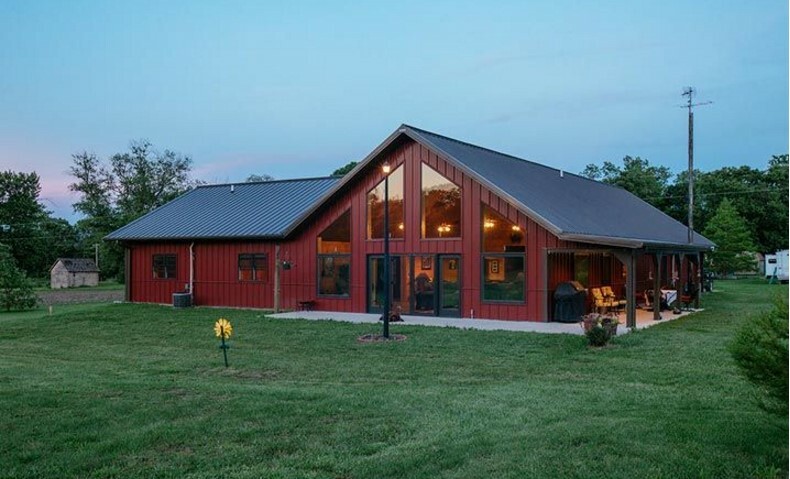 This barndominium floor plan is the simplest one of all. It only comprises 1 bedroom and 1 bathroom and some other must-have rooms such as kitchen, living room and a dining room. All the things that you need to build a home is right here. Since there is only 1 bathroom meaning that it is used by all the people who live there, it will be a good idea to separate it from the closet as you can see in the picture. 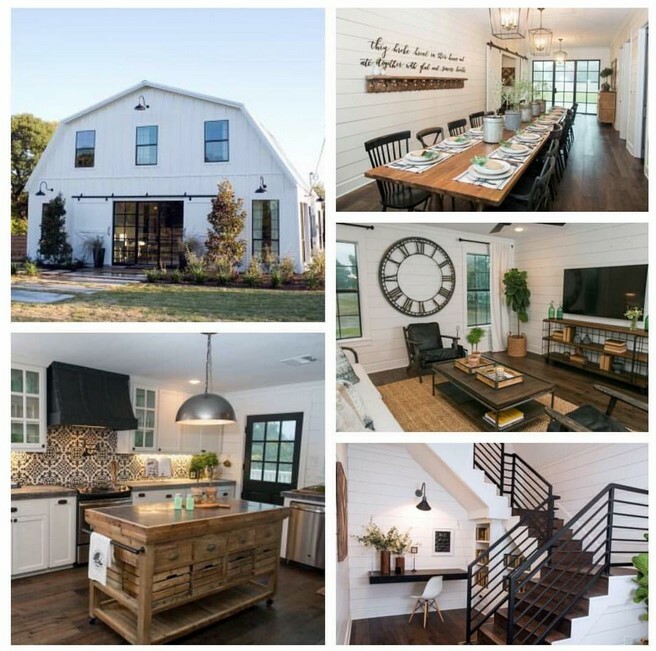 Hint: to make this tiny barndominium look more spacious you can merge the kitchen, dining room and living room. Since it only consists of 1 bedroom and 1 bathroom, it will not make you broke. There is no enough space for a guest to sleep over. Hint: place the bathroom separately from the bedroom so that any guests can use it. There is not any enough space for a guest to sleep over. This is a much friendly barndominium since it has 2 bedrooms. Now you can invite your friend orparents to come over for dinner and, perhaps, sleep over. It is not a huge barndominium, but it does have all the things that you need to dwell in it. Hint: placing the bathroom in the kitchen, separately from either bedrooms, is such a brilliant idea. It is very suitable for those who want to have nest-egg. 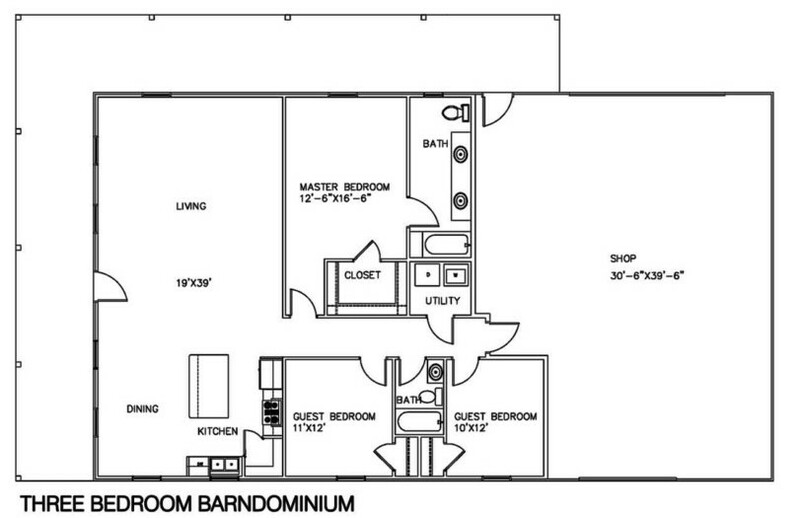 Brandominium Floor Plan 2 bed, 1 bath – 30’x30′ 900 sq. ft. This is the solution if you have a-30’x30′ for your barndominium. 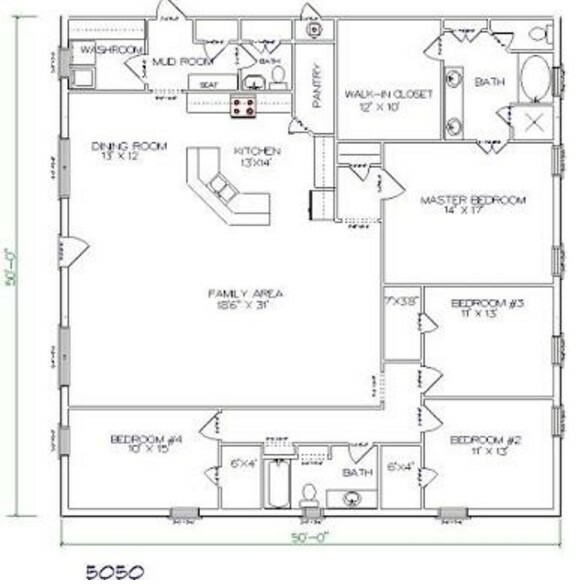 It is not a huge one, but it is a nice floor plan that you should try. This barndominium has already had 2 bedrooms. You can use one of the bedroom to invite your friends to sleep over. Hint: it will be great if the bathroom is separately from either bedroom. The bathroom is placednext to the master room making you are ready when the nature calls. This barndominium is suitable for a little family consisting parents and a kid. It is comfortable, spacious and provides ultimate privacy by providing a bathroom in each bedroom. It will enable either you or your guests or kid to go to the bathroom when nature calls. Finally, you can experience a soothing bath time without queuing. Hint: it is quite spacious. Thus you might want to consider building a playing room for your kids. Everyone can access the bathroom in their convenience. More spacious barndominium means more money to spend. This is another barndominium with 2 bedrooms and 2 bathrooms. I like the wayone of the bathrooms is placed near the family room. And there is also a washroom. The huge family room enables you to make your imagination come true. Hint: Building a small playground for your toddler in the family room will be great. It enables you to explore your creativity due to the large size. 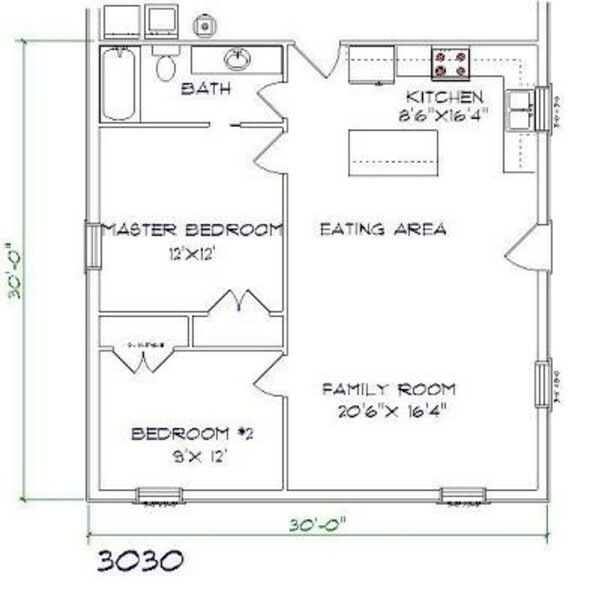 Barndominium Floor Plans 3 Bed, 1 Bath – 30’x40′ 1200 sq. ft. If you have got two kids, you are going to need more bedrooms as they might not want to share rooms. You can try this barndominium floor plan. 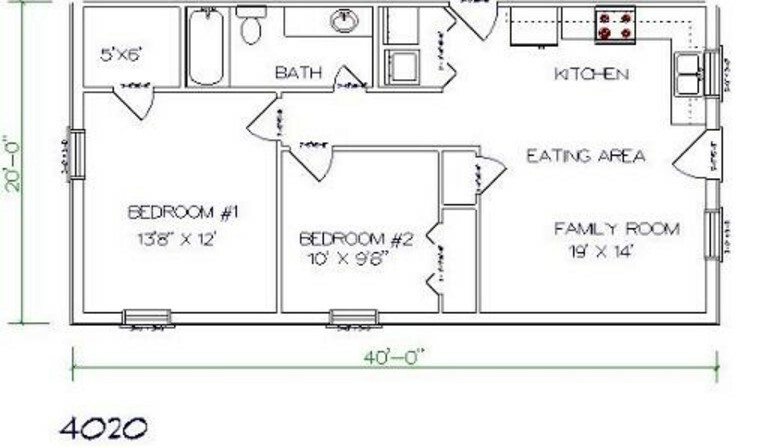 It has 3 separate bedrooms with only 1 bathroom. The bathroom is placed separately from either rooms. Hint: To border family room, eating room and kitchen, you can put furniture rather than a wall. Spacious barndominium enables you to move comfortably. The more spaciousthe barn is, the more expensive it will. Having only one bathroom is not enough for you? Yeah, I know it is a bit annoying when you have to queue for the bathroom. If that’s the problem, I think you should build 2 bathrooms. No more queuing for bathroom. Having 2 bathrooms is not a bad idea. It might be costly, but it is necessary. You can’t just let everyone use the bathroom inside your bedroom, can you? Besides, your barndominium has enough space to have 2 bathrooms. Hint: it will be better to put the other bathroom separately from the guest bedrooms. It allows the guests to use the bathroom freely without compromising your privacy. Building a new bathroom spends more money. If you are going to dwell in a barndominium for a long time, or even forever, the barndominium must be equipped with sufficient rooms and fully furnished. Therefore, building 4 bedrooms with 2 bathrooms is something you need to do. Hint: since the bedrooms are more than the bathrooms, make sure that one of the bathrooms is placed separately from any bedrooms. Well equipped and fully furnished barndominium will make you feel homey. To get it finished needs a lot of money. It is such a luxurious and comfortable barndominium. In addition to having 4 bedrooms and 2 bathrooms, it is equipped with washroom, pantry, family room, and even mudroom. Hint: place the mudroom next to the washroom so that you can reduce the mess. You will get an ultimate comfort. It must be very expensive. With 5 bedrooms in your barndominium, you can invite your friends and relatives to stay in your barndominium and catch up. It will be a nice moment when two old friends meet and share their stories in such a distinctive house. Hint: If you need more bedrooms, turning the office into a bedroom will do in a pinch. You will impress your friends and relatives with the interior design. This barndominium can burn a hole in your pocket. 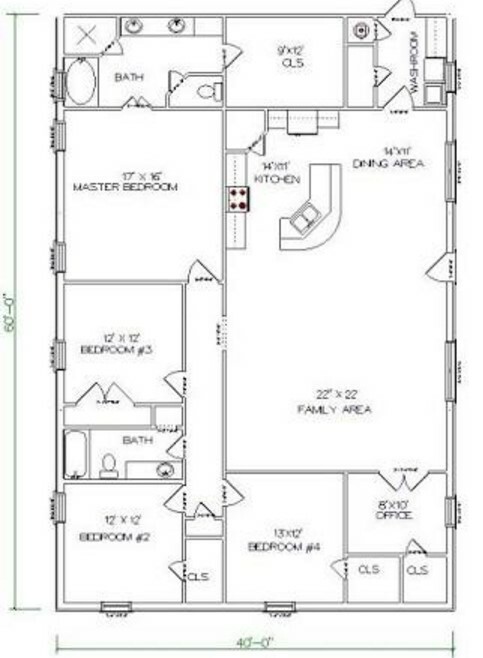 Barndominium Floor Plans 5 bed, 2 bath – 40’x60′ 2400 sq. ft. Living in a safe and comfortable place is everybody’s dream. To make it come true is your choice. 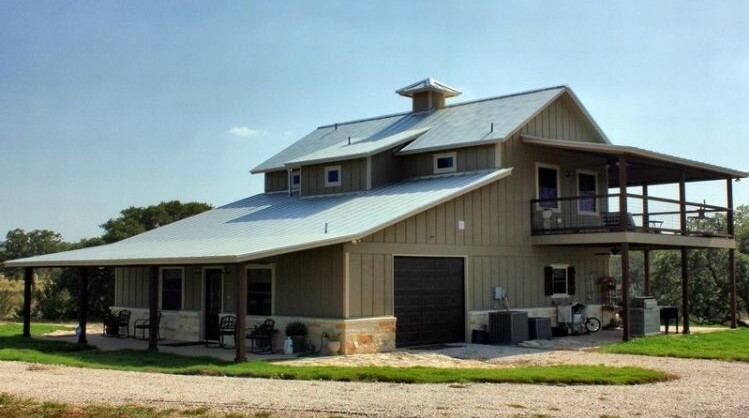 This barndominium can be super comfy with 5 bedrooms and 2 bathrooms. And you still get all you need such as living room, dining room, and kitchen. Hint: just turn the game room into a bedroom if you need more bedooms. You can still play game in the living room. Fully furnished and fully equipped barndominium will be an exquisite place to live in. There is nothing more important but being comfortable. Hint: if you need more bedrooms, just turn the office into a bedroom. The ultimate comfort in a barndominium is not pie in the sky anymore. It will need a lot of work and money. 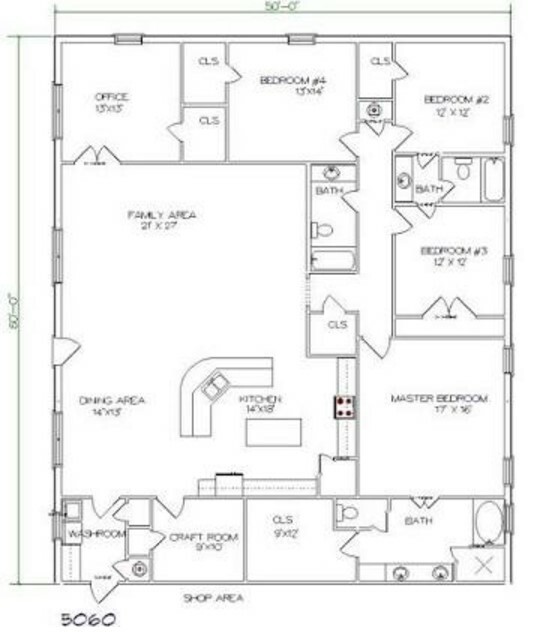 Barndominium Floor Plans 5 Bed, 3 Bath – 50’x60′ 3000 sq. ft.
With more people live in your barndominium and 5 bedrooms in it, having 3 bathrooms is a must because bathrooms are one of the must-have rooms in a house so that you can feel homey. Hints: you can turn the office into a bedroom so that you get 5 bedrooms in your barndominium. Place 2 bathrooms separately from any bedrooms so that everybody can use them. This design will definitely make you feel homey. Fully equipped barndominium costs sky high. Those are 15 best barndominium floor plans that you need to consider before building a barndominium. Every floor plan has its own benefits and drawbacks. You need to consider what you need and want. And the most important thing is the available budget.